Natural reflective lavender-purple colored Botryoidal Lepidolite specimen from Taquaral City, Minas Gerais, Brazil. The violet ray energetic vibration emitted by Lepidolite supports transformation. Lepidolite’s energetic vibrations help to release and reorganize emotional and behavioral patterns through reflection brought by change. Lepidolite encourages independence and self-reliance while achieving personal goals and enhancing the awareness of well-being. Filtering distractions, Lepidolite focuses on what is important and facilitates decision making through objectivity and concentration. Lepidolite is also helpful for those who have difficulty in setting appropriate boundaries. Lepidolite is an excellent stone for business, as it combines the energy of diplomacy with direction and clear communication. 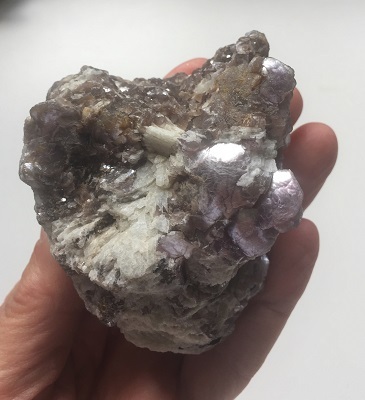 Lepidolite assists one with open and honest communications and supports one in handling “situations” in the highest way, preserving one’s integrity and well-being. 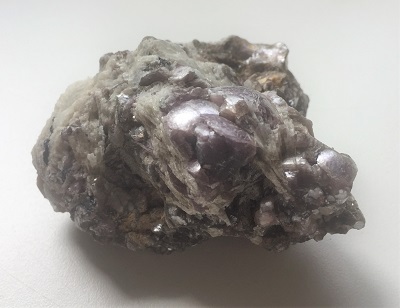 In healing, Lepidolite may be helpful with the reduction of stress and depression. 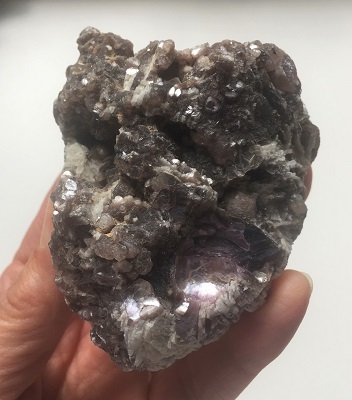 Lepidolite may be supportive for the relief from allergies, strengthens the immune system, restructures DNA and enhances the generation of negative ions. Lepidolite may also be helpful for relieving sciatica, nerve pain, and joint problems. 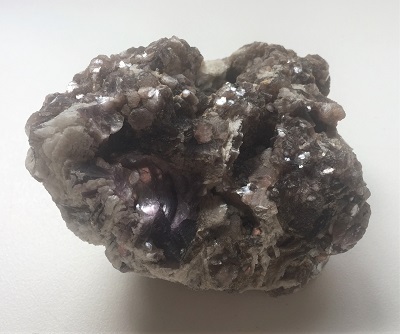 Lepidolite is known as a detoxifier for the skin and connective tissue.